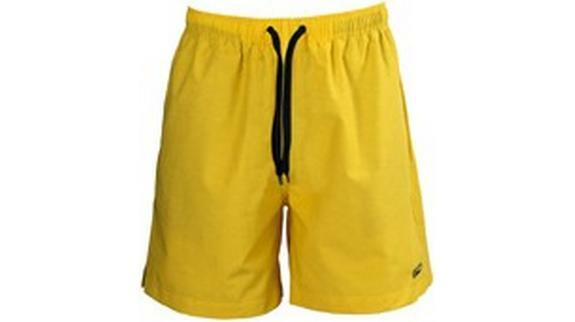 Beach Short. Rubber badge on the bottom leg. Side slits. Side pockets. Back pocket with flap and Velcro closure. Elastic and drawstring on the waistband. 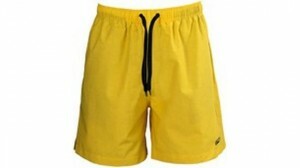 Mesh inner shorts of 100% Polyester. Inside coin pocket. Fabric of 70% Cotton and 30% Nylon with peach finish.